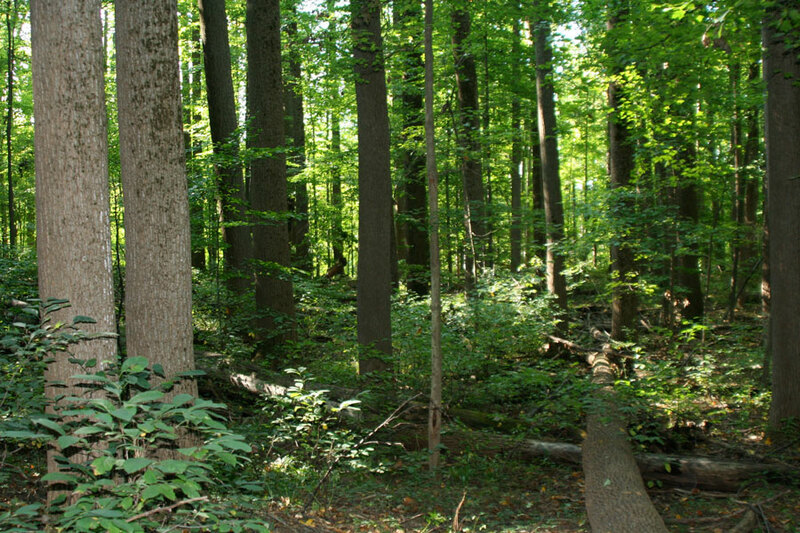 Big Rock Valley has about 700 acres of woodlands, which are are primarily northern mixed hardwoods. Some of the tree species include maple, beech, oak, hickory, black cherry, hackberry, ash, elm, tulip poplar, aspen, walnut, hornbeam and birch. The foundation has divided its woodland areas into 20 different units. Every other year the land stewardship team looks at a designated unit and, if necessary, implements appropriate management activities, such as a thinning harvest. When we conduct a thinning harvest, a forester marks trees that need to be removed because of spacing or health issues. In most woodlands, trees that have reached a diameter of about 22 inches (known as economic maturity) are harvested. Yet in our management strategy, which focuses on diversity and long-term sustainability, trees are not felled just because they are large. 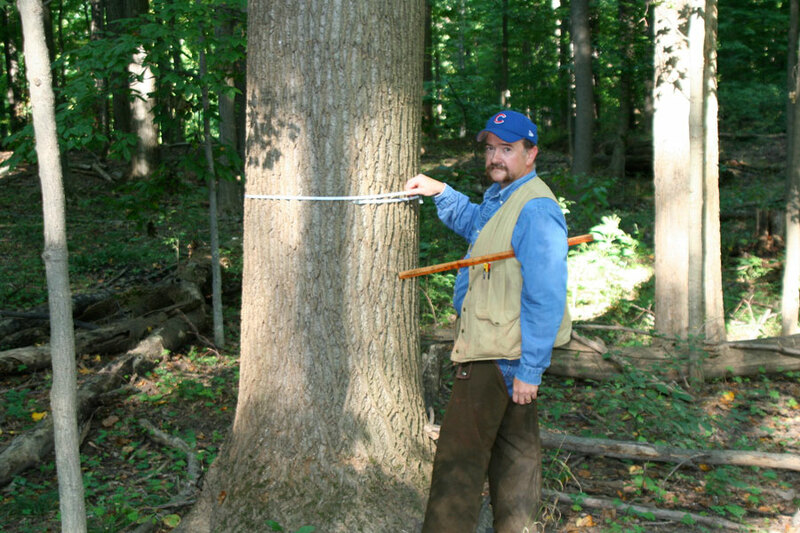 In fact, it’s common to see trees at BRV that are 30 inches or larger in diameter. These trees no longer produce wood mass as quickly as smaller trees, but their height and full canopy create unique microhabitats. Trees of all age classes. Open areas with lots of light, created by mature canopy trees dying or blowing over. Large craters created by big trees falling over and uprooting. Massive quantities of large, decaying logs. Large, decaying logs are probably one of the most important components of old-growth woods because they create a sponge effect and keep the area moist even in dry periods. In addition, these logs slow down the wind and evaporation along the soil surface. Due to its unique characteristics, old growth is a haven for many plants and animals. The ecosystem is also thought to have a positive impact on climate change due to the amount of carbon dioxide absorbed by trees and root systems. 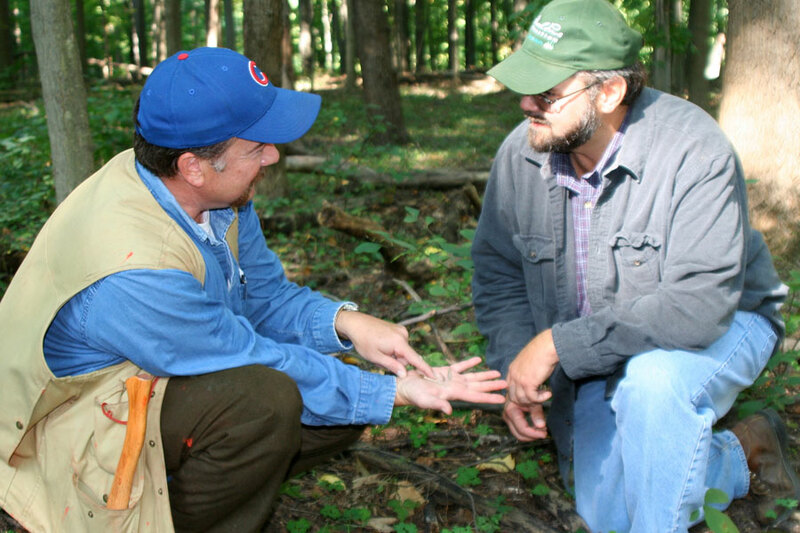 The foundation has designated about 100 acres of its woodland to be managed as old growth. These areas are basically “no-harvest” areas. If thinning is done because of health or spacing issues, the trees and logs are left in the woods to decay over time.